. 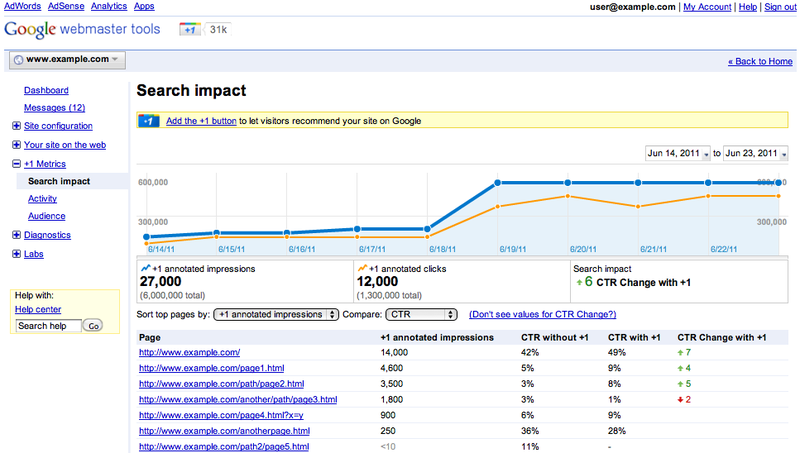 You can now find information about the performance of +1 buttons on your pages using Social Reports in Google Analytics. It’s been a busy week for us here at the Googleplex. First we released +1 buttons to Google search sites globally, then we announced the beginning of the Google+ project. But when you’re managing a website, it's usually not real until you can measure it. So we’re happy to say we’ve got one more announcement to make -- today we’re releasing reports that show you the value +1 buttons bring to your site. Use the +1 Metrics menu on the side of the page to view your reports. If you haven’t yet verified your site on Google Webmaster Tools, you can follow these instructions to get access. Over the next few days (and if you’re using the default version of the latest Google Analytics tracking code), if you’ve added +1 buttons to your site we’ll automatically enable Social Plugin Analytics for +1 in your account. 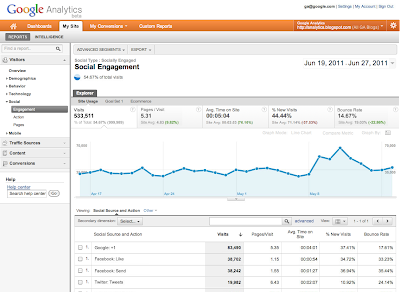 You can enable analytics for other social plugins in just a few simple steps. 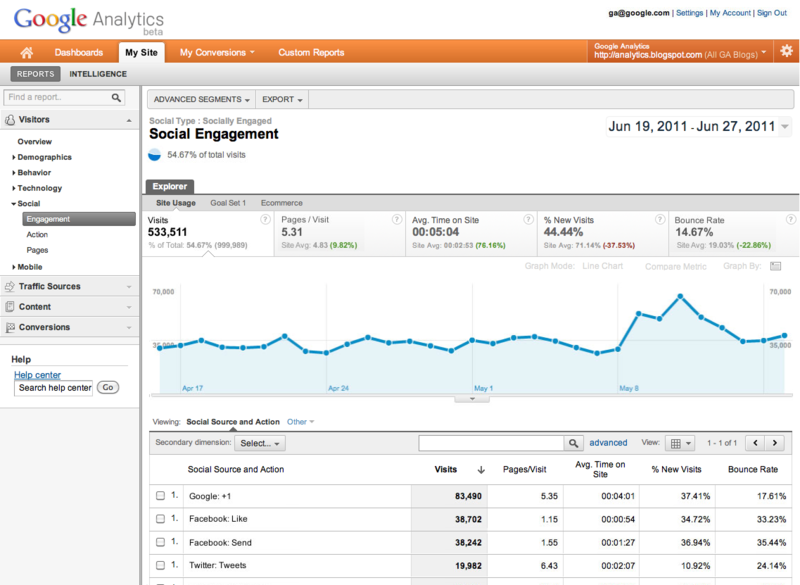 UPDATE: 7/11/11 2:05pm PST, corrected references to the social plugin analytics feature. 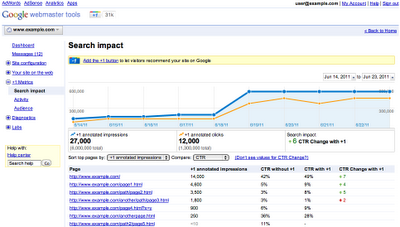 UPDATE: +1 Reports in Webmaster Tools have been retired. You can now find information about the performance of +1 buttons on your pages using Social Reports in Google Analytics.